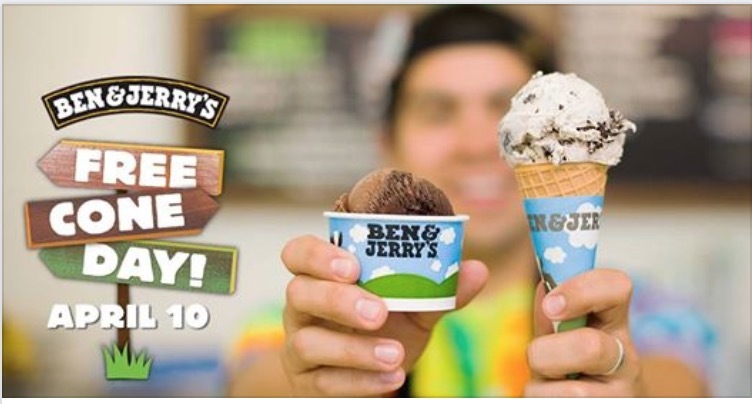 Ben & Jerry’s Canada has a sweet promotion on Tuesday, April 10, 2018, that includes: Enjoy a FREE Cone on Tuesday, April 10, 2018, at 12:00 pm – 3:00 pm EDT. Since 1979, it’s Ben & Jerry’s way to celebrate and say thanks to their awesome fans for another year of support, and they have kept it up every year since, spreading the peace, love & FREE ice cream around the world! You’d better start thinking about the tough decisions you’ll need to make: Which Flavour? Cup or cone? Who’s coming with you? Also, click here to get more information about this offer.